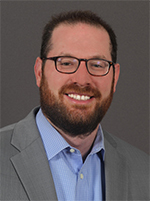 Ben brings ten (10) years of commercial real estate experience from Cushman & Wakefield | Pyramid Brokerage Company of Buffalo, NY to CRESCO Real Estate. Prior to joining the CRESCO team, Ben handled numerous transactions in the office, industrial and retail sectors. Ben is diligent, sophisticated and accountable on his assignments to achieve the best possible real estate solution for his clients’ needs.